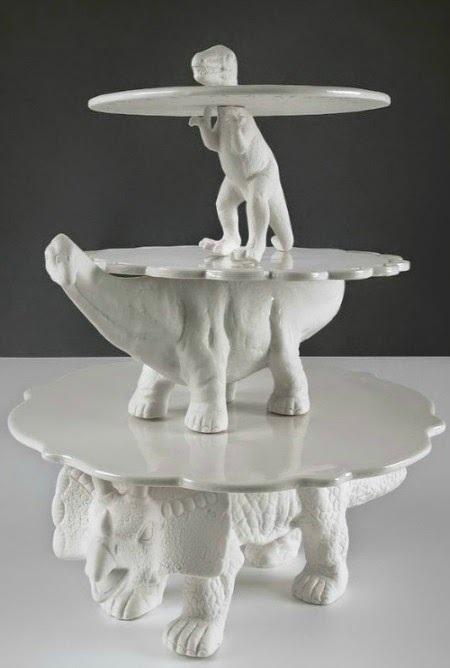 Happiness is a dinosaur cake stand. 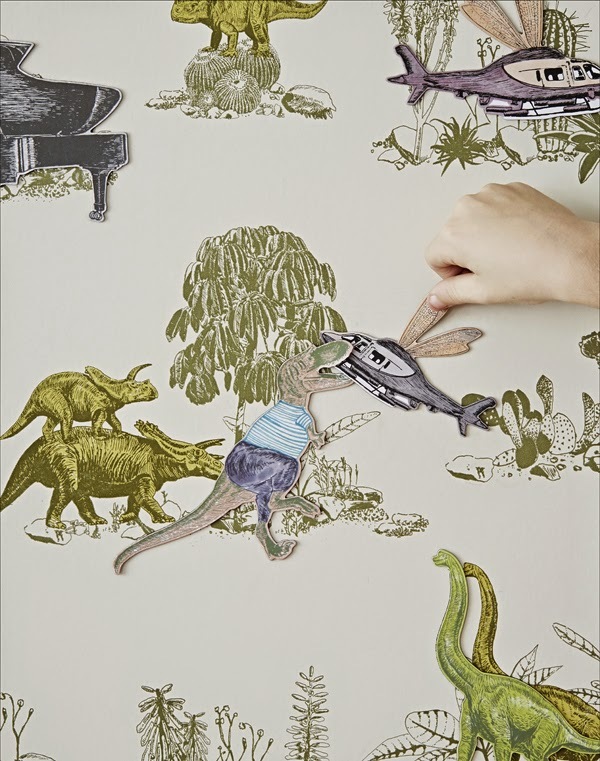 Seletti's new dinosaur range is the most wonderful thing. They'll be available at Made In Design from September which is OH MY GOD AGES AWAY. So until then, here is a whole bunch of other dinosaur goodies to keep you happy. Dinosaur cookies! 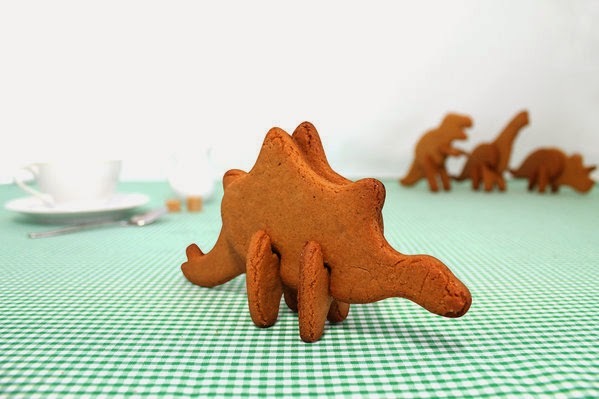 You'll need a gingerbread recipe to make tasty dinosaurs. Bite their heads off first. 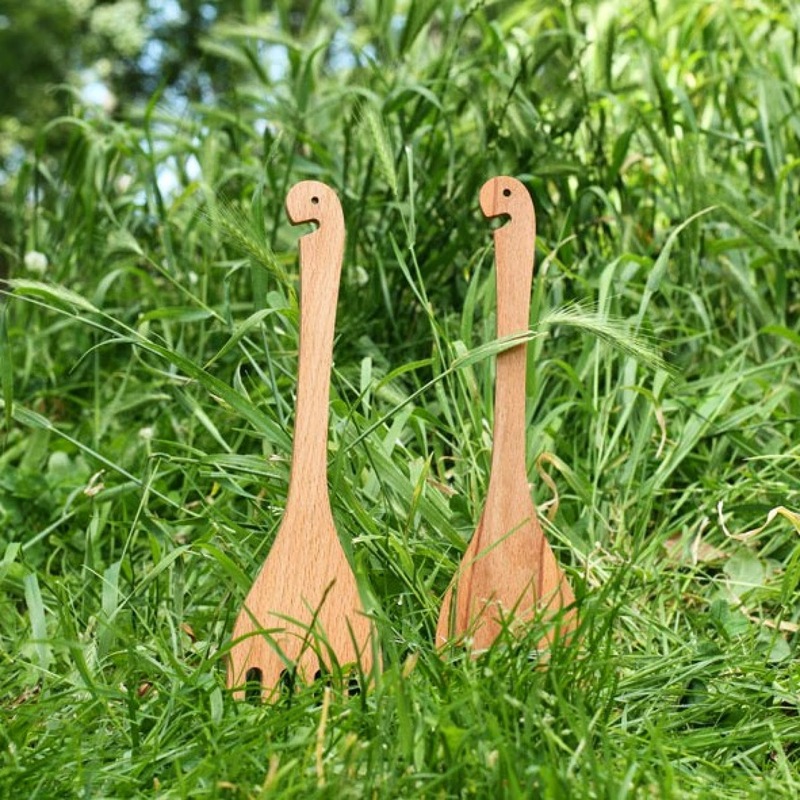 I'll never, ever get bored of these dinosaur salad servers. They're one of my favourite pieces from Howkapow and they're £14.95. Look at them going for a stroll through the grass! Here's some salad inspiration for your hungry dinos. It's a known fact that sandwiches shaped like dinosaurs are the best kind of sandwiches. They're even better than triangles. 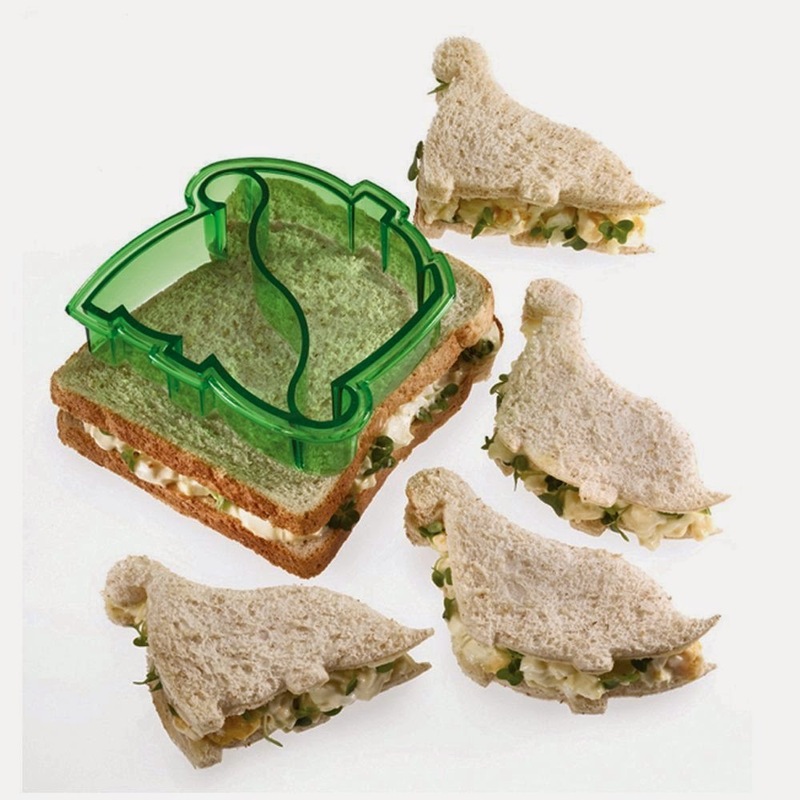 This sandwich cutter is just £2.99. That's a very small price for Jurassic carbs. I know that woolly mammoths are definitely not dinosaurs. But they very rarely make it onto soft furnishings (or any kind of furnishings) and I think this scribbly little guy deserves a little promotion. 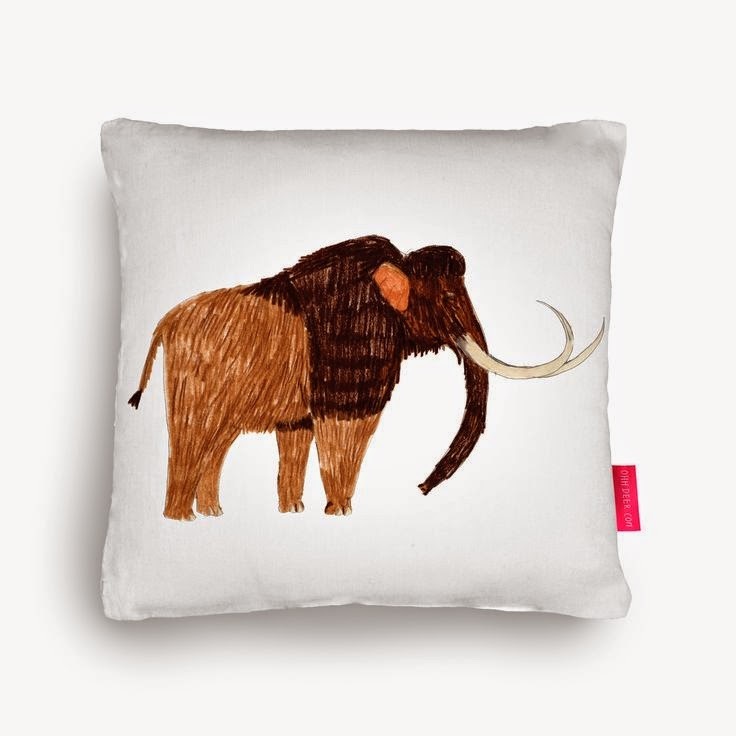 He's in the sale at Ohh Deer (who also have some brilliant dinosaur cushions) and now just £19.95. D'you think 'e saurus? 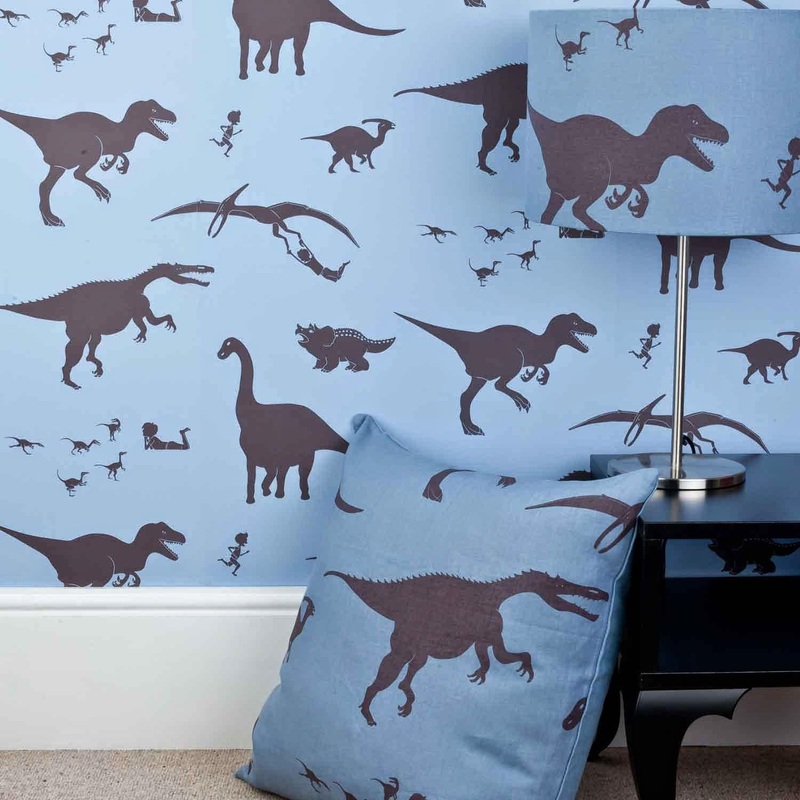 I wish I'd had dinosaur wallpaper as a kid. I'm now really tempted to buy some dinosaur fabric and make a brilliant dinosaur dress. 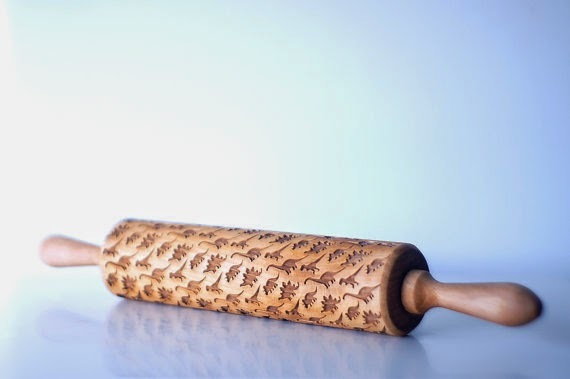 The paper is £50 a roll, the fabric is £80, both from Paperboy. Please tell me your favourite dinosaur in the comments. What's better than dinosaur wallpaper? I'll tell you what, it's a short list of nothing much at all. Except Sian Zeng's magentic dinosaur wallapaper, complete with dinosaur magnets. Yes, that T-rex is eating a helicopter. Here's unequivocal proof that kids get the best damn stuff. 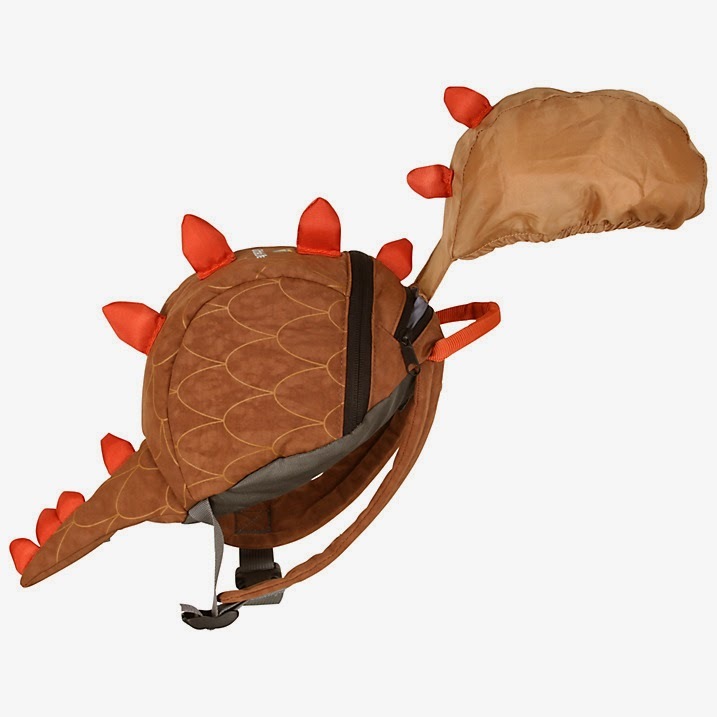 I really, really want a grown up version of this dinosaur rucksack. I'm a bit sad that I don't own a dinosaur scarf. This one is £152 from Terracotta, via Boticca. This is the kind of thing that I'd wear to events when I'm meant to look professional. 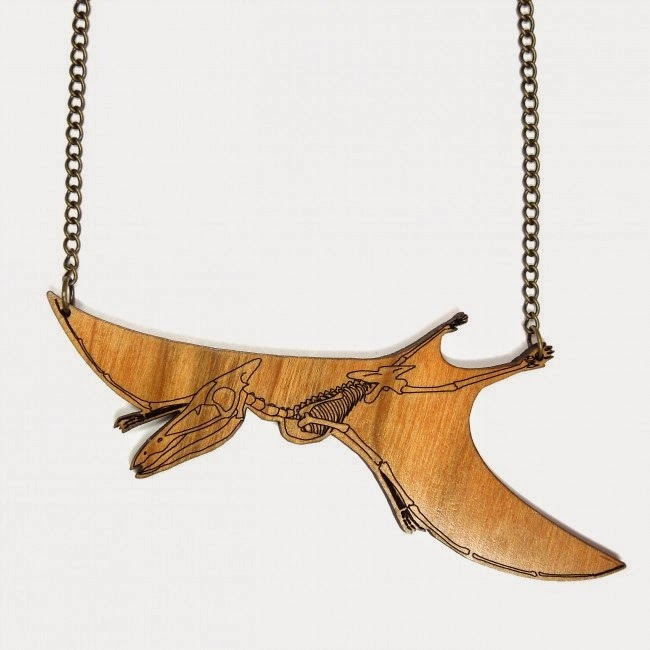 I've really got a soft spot for this pterodactyl necklace, I like the skeleton element to it. It's by Designosaur and it's £25 from Hannah Zakari. 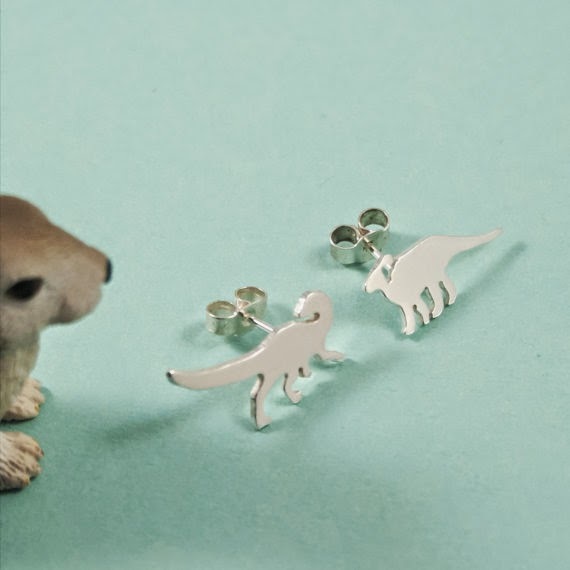 Fancy some dino earrings? Fragment does a whole bunch of mix and match silver dinosaur studs. I like the raptor and the hadrosaur. They (probably) won't eat each other. Nope, no idea why there's a tiny bunny in the photo. 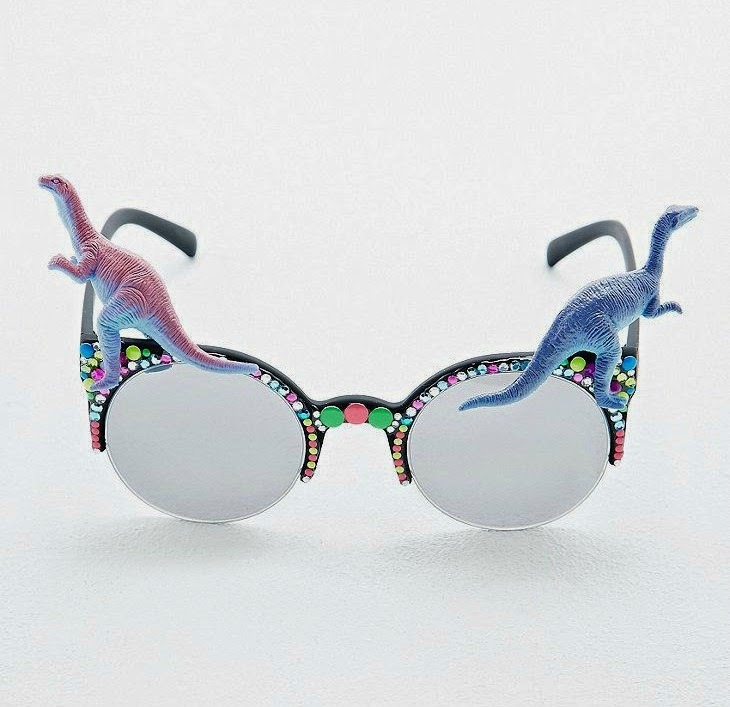 If you don't want a pair of sparkly dinosaur sunglasses then I really don't think we can be friends. That much tacky brilliance deserves to be celebrated. I like a stegosaurus. Spiky dinosaurs are my favourite. Charcharodontosaurs. Apex predator (MUCH bigger than the T-Rex ;)) with the most ridiculous name. Pachycephalosaurus. No question. I love the big bumpy head. I have an orange stuffed pachy on my dresser.